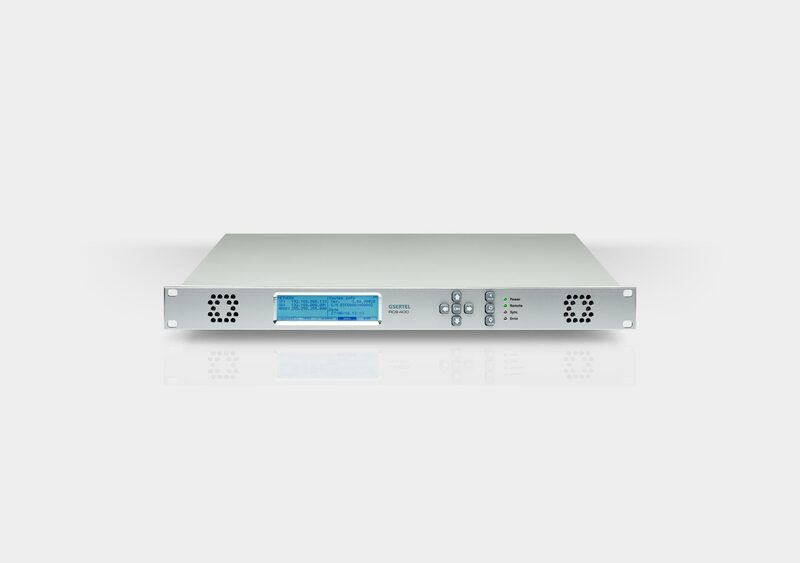 Gsertel’s RCS 400 DVB-T/T2 is a network professional monitoring platform that allows the remote, proactive, simultaneous and real-time of up to 4 DVB-T/T2 digital television multiplex, both at RF and transport levels. 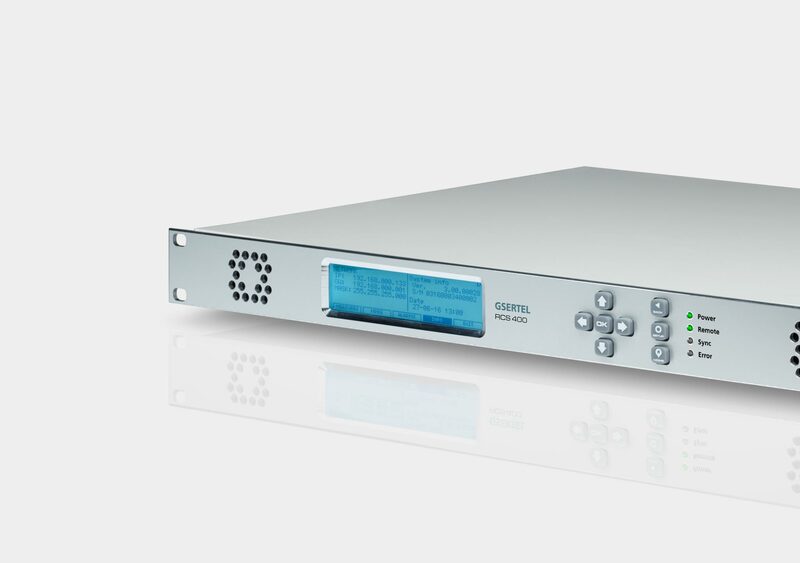 The capability of parallel processing up to 4 multiplex and simultaneously by RF, ASI or IP, makes the RCS 400 a powerful tool for early detection and diagnosis of potential failures in a DVB-T/T2 network. 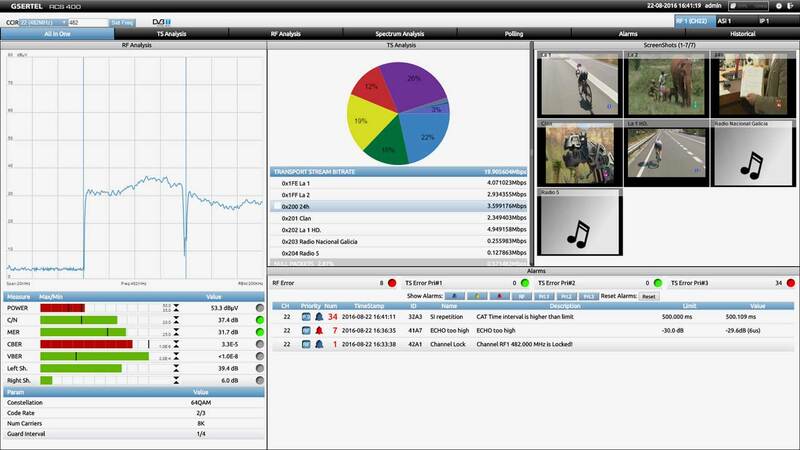 The intuitive web interface of the RCS, which allows an easy and quick access to all functions, coupled with unique features such as the powerful spectral analysis and capabilities of streaming or Transport Stream recording make the RCS 400 an ideal solution for headend, transmission sites or field locations. 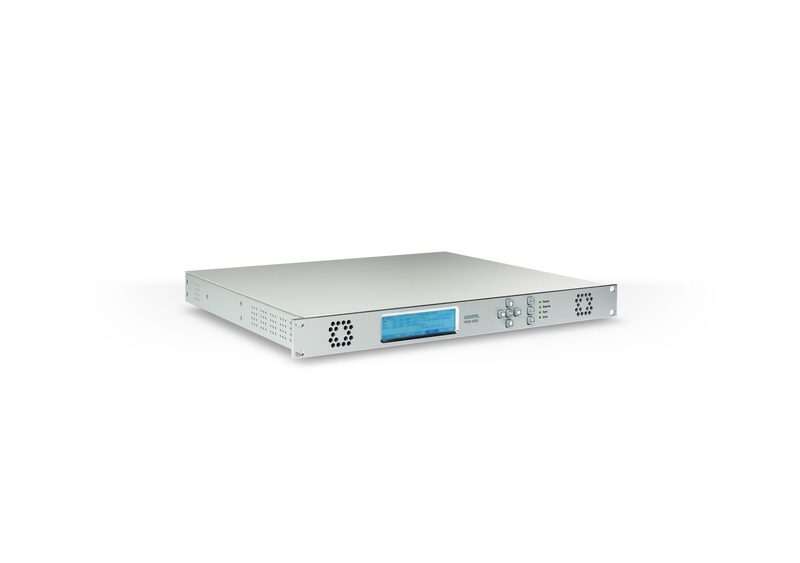 Signal inputs: 4 x RF N50 Ω, 4 x ASI BNC 75 Ω, 1 x IP GE RFJ45 (up to 4 TS), 1 x (Backup) GE RJ45. Signal outputs: 2 x ASI BNC 75 Ω.
Graphical representation of the SFN drift. 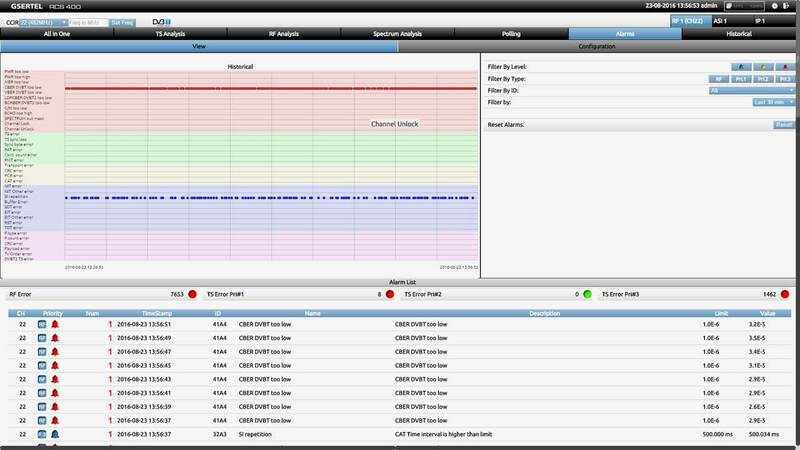 Spectrum analyzer from 5 Hz to 1 GHz with mask function and automatic alarm. Advanced measure of echoes, with masks in amplitude and delay. 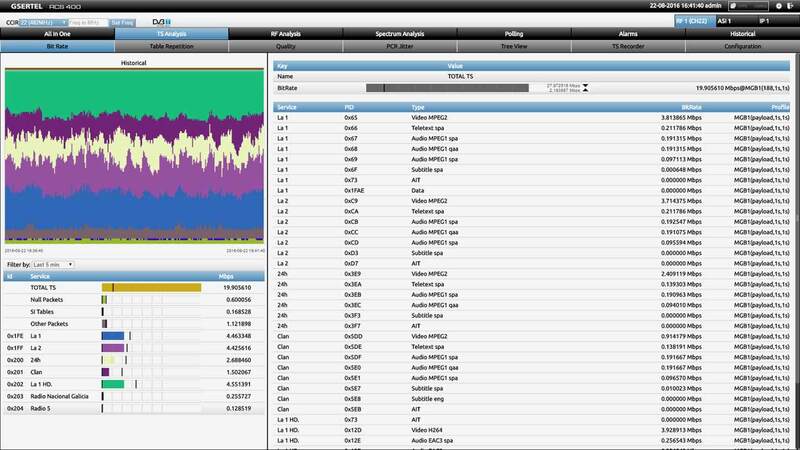 Full management through SNMP v2.0. Representation of the T2-MI frame structure and analysis of the contents packet. 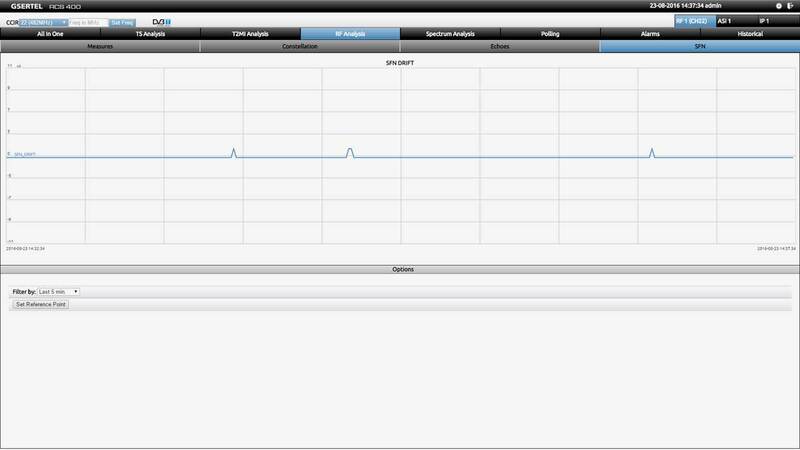 Temporal representation, filtering and list (grouped by type) alarm functions. 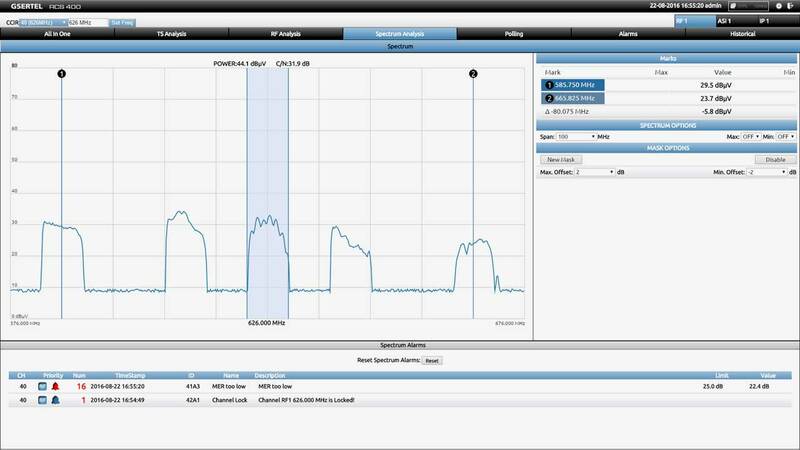 Bitrate measurement of the T2-MI packets. 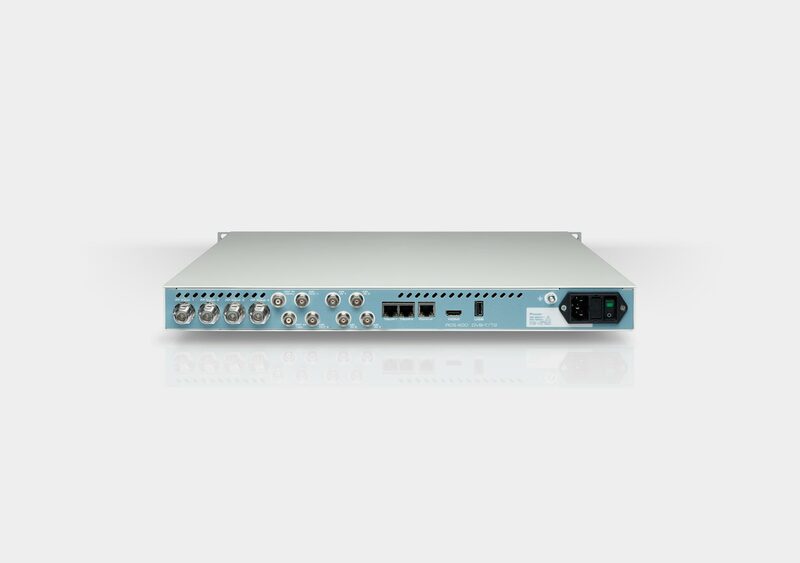 If you already have the login information to our RCS 400 DVB-T/T2 Live Demo, click the link below and login with your user and password.